Favourite Athletes: Rod Dixon and Jake Robertson. 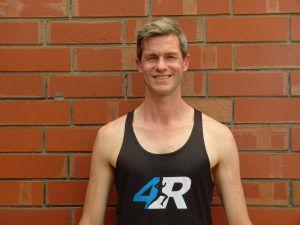 4runners was founded by Sam Hicks in 2015. As a level 2-advanced distance running coach and personal trainer, Sam himself is proof the systems that he use work. Training for a distance running event can be overwhelming, leaving it hard to know where to begin. 4runners has been developed to remove the stress of knowing what to do in your program and when to do it. Sam coaches long distance runners of all age groups, abilities using online correspondence to track your progress week by week. He tailors all the programs himself and monitors how the athlete responds to them. Whether you’re a young novice 1500m track runner or a veteran marathoner, 4runners will cater for the individual.